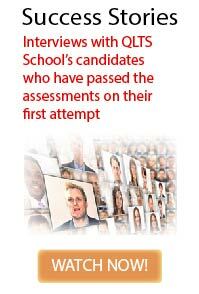 Candidates who prepare with QLTS School pass at more than double the rate of non-QLTS School candidates. Kaplan and the SRA do not publish pass rates of training providers. So how do we prove this claim? By engaging an independent, third-party research firm to analyse the data and validate our pass rates. We do it to show potential candidates like you that QLTS School excels at helping candidates pass the QLTS assessments. 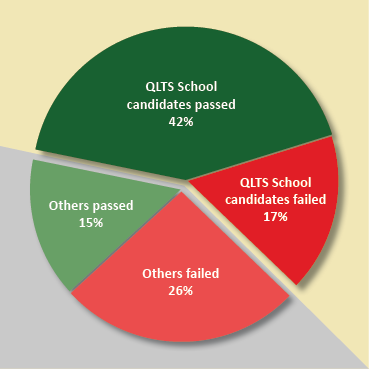 There is a reason that QLTS School’s candidates pass at more than double the pass rate of non-QLTS School’s candidates. It’s because we are committed to giving you quality and up-to-date preparation materials, as well as the support you need to be successful—from beginning to end—until you are eligible to become a dual-qualified English solicitor. The firm we hired to conduct the research is ICF International (NASDAQ:ICFI), a reputable and unbiased research firm that has also conducted an assessment of the QLTS training market for the SRA as part of a comprehensive research on the QLTS. ICF International is, therefore, well-familiar with the fundamentals of the QLTS assessments. The chart on your right shows that of all exam takers 42% were QLTS School’s candidates who passed the MCT, whereas the portion of those who passed and did not study with QLTS School amounted to only 15% of the total number of exam takers. 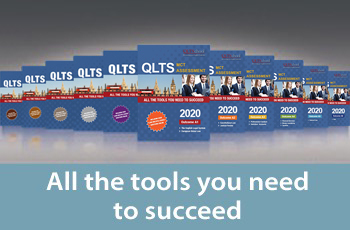 The results of the research clearly show that studying with QLTS School not only dramatically increases your prospect of success to pass the assessment on the first attempt, but it also saves your time, money and effort, as you will not have to pay thousands of pounds in the long run in retakes, travelling expenses, delaying the progress of your legal career, and so on. Taking the right course also has emotional and mental element; you’ll be saving yourself a lot of stress, hassle and lack of confidence, and more easily balance your study with family and work. QLTS School’s candidates achieve excellent results on the OSCE assessment as well. Many of our past candidates are now dual-qualified English solicitors, working in the world’s top law firms, as evidenced on our Success Stories videos interviews. However, since the structure of the OSCE assessment has recently been changed by the SRA, it is not possible at this stage to provide a comprehensive, reliable and sustainable report on the pass rates of our OSCE candidates that will cover several consecutive sittings. Hence, the focus on this research was on the MCT assessment. Since the introduction of the QLTS in 2011, we have trained thousands of candidates for the QLTS assessments, many of whom are now dual-qualified English solicitors. We look forward to helping you achieve this goal too.